So you are a young, hot guy (at least in your own mind anyway) looking to meet some good looking girls to hang out with and have a good time. Have you ever thought of enrolling cosmetology school (a.k.a. “beauty school”)? Yes, you read that correctly. And no, I haven’t lost my mind. After a while, Anthony dismissed the trash talkers and put aside his reservations and signed on for “hair school” falling in love with it the moment he started. On Jerseylicious, Anthony is the only dude among women at Central New Jersey’s Gatsby Salon. Anthony, a salon owner himself, needed to place to work while his place was being renovated and took the opportunity to work for and learn from co-owner mom and daughter team Gayle and Christy. Is there such a thing as “Jersey hair”? Anthony has a wife and a 13-month old son which he calls “his greatest support system”. So, I had to ask, does he do his wife’s hair? Yes, of course he does his wife’s hair. “I don’t do it as much he she would like,” he laughed. If you have curly hair, use an anti-frizz treatment that doesn’t take the curl out just the frizz. Definitely use some finishing oil, a serum that helps keep the shine, after blowing out hair. It helps keep the hair coated and also keep it from frizzing. Finally, don’t be afraid to put your hair in a ponytail especially at the beach this summer. What is it like to work work with all women? What are some of the misconceptions about Jersey? To follow Anthony on Twitter, @AntLombardi. 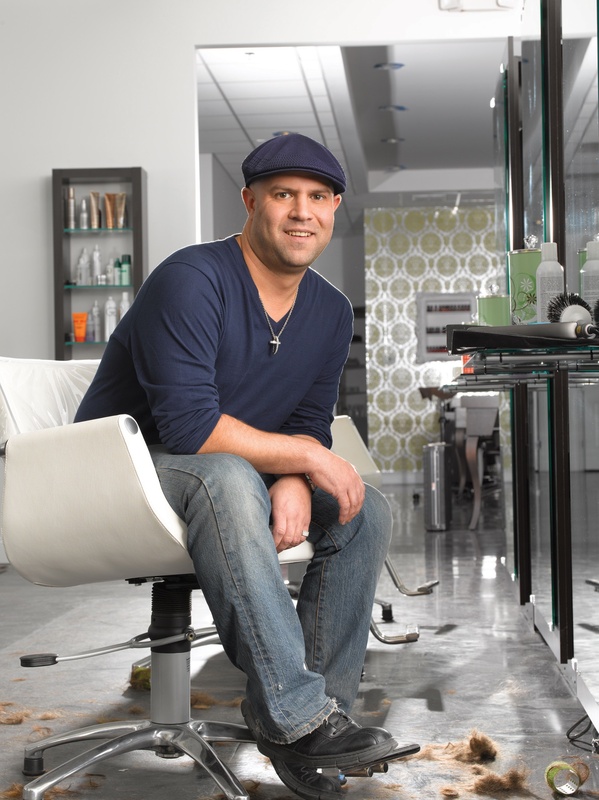 For more information about Anthony Robert Salon, click here.